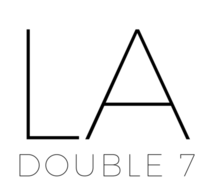 Infinity – LA Double 7, Inc. This plaid maroon scarf features navy and cream stripes throughout. Woven acrylic tastefully creates a warm and classic infinity scarf, perfect for the fall and winter seasons. Wrap around your neck for added warmth. Don`t settle for basic accessories! Opt for this multi-colored fringe scarf that enables you to keep your style game on point. This scarf features beaded fringe along the edges, and is made of a lightweight fabric that keeps you comfortably warm, without the added bulk that may take away from your full look. Create a riveting look by pairing this multi-colored accessory with your casual ensembles throughout the year! Greyscale leopard spots lend an exotic pattern to a cozy scarf that wraps warmly around the neck. Have fun with your daily outfits by adding this wild patterned scarf to your wardrobe! Pair with a neutral-toned dress, denim jeans, black top, and more! A light knit scarf is prefect for wrapping atop your favorite fall looks when the weather starts to get nippy. Perfect for pairing with many outfits because of the muted tone of this pink accessory. Woven with a light, soft acrylic yarn–cozy to the touch! Look fur-rocious this season in a scarf that will instantly elevate your style. This season it’s all about faux fur. Add a stylish fur accent to your appearance with this scarf made to give a luxe accent as your wrap it around your neck. Team this anything-but-basic scarf with your favorite outfits, like a chic dress or distressed denim to look effortlessly like a fashion master! Add this beautiful multi-colored floral infinity scarf to your wardrobe to spice up boring outfits! A light beige color underlays the colorful intricate flower designs. The lightweight viscose fabric is perfect for the upcoming warm weather, and the infinity design is soft and comfortable to wrap. Hearts and paisley patterns–name a better duo! These soft cotton infinity scarves are cute and stylish and come in navy and white. Perfect for a girly bohemian look, this scarf can transition through any season! Made from 100% cotton, this quality scarf is cozy and great for pairing with casual looks. This stylish jean blue scarf features a variety of different patterns, ranging from paisley, cheetah, floral, and more! Be unique by pairing this infinity scarf with your outfit of the day. Created with polyester fibers, although soft and feels similar to a cotton blend. Loop as a neck scarf, or wear as a shoulder shawl! Beautiful hearts comprised of flowers overlay this white infinity scarf. The lightweight polyester fibers create a cotton-like material, airy and perfect for layering over outfits in the summer seasons. Stay stylish with this pretty blush pink infinity scarf! Made of a lightweight and soft knitted fabric, this accessory can be worn throughout the seasons. Layer in the summer as a simple wrap, or double-loop for warmth in the cooler weather. Class up simple outfits with this fashionable scarf! This trendy scarf can be worn to dress up any type of outfit for optimal style! Available in two stylish colors, this patterned design is sure to make any boring outfit something to look at. Various abstract prints decorate this infinity scarf, creating a look similar to classic bandanna patterns. Made of lightweight viscose woven material, this airy scarf can be paired with looks in the spring and summer weather. Detailed floral prints overlay this beige infinity scarf. Created with a polyester/viscose/linen blend to compose a lightweight and airy fabric. Features different delicate flowers throughout and stitched striped embellishments running throughout. Soft and perfect for pairing with summer and spring outfits! Comprised of light woven polyester fibers, creating a luxe, breathable material. Gold foil feathers overlay this soft blush pink infinity scarf to create a beautiful contrast. Shine under the sunlight with this golden-embellished accessory! Increase your style points with this unique and brightly colored infinity scarf! Features an abstract pattern with frayed tassels decorating the edges. Created from a polyester fabric, although feels like a broadcloth material. Opt for this accessory when you’re looking to spice up any casual outfits. Fashionable, stylish, and comfortable! Our abstract print infinity scarf comes in blue with shades of grey throughout, and is just what you need in your wardrobe! Created with acrylic fibers, resulting in a lightweight, breathable fabric. Double-loop as a neck scarf, or wear as a shawl to layer. Features delicate fringe along the edges. Embellished with various stitched stripes throughout. This infinity Bohemian-style scarf is soft and cozy, created with a viscose fiber blend, although feels like a luxe linen. It is perfect to wear to work or with a casual outfit, and easy to wear in transition season from spring to fall. Infinity-cut scarf with delicate fringe along the hem. An ultra-soft polyester and nylon construction combined with lace embellishment makes this infinity scarf comfy to wear through the seasons. Layer it over a little black dress when you’re headed out for the night, and then tone it down with denim shorts or jeans for a daytime outing. Comes in three fashionable shades for various outfit options. A wildly soft scarf in a gold leopard print with a brown backdrop. Great for layering with neutral colored ensembles. Animal prints are a classic staple piece for spicing up any everyday look. Add a touch of glam with this fabulous gold-embellished infinity scarf! Add a touch of elegance to your look with this rose-embellished infinity scarf. Mimicking lace, this print is sure to create a fabulous look if worn as a looped scarf or shawl. Made from soft acrylic fibers to create a lightweight luxe feel. Available in taupe, red, or black shades. Showcase your chic style in this subtle-checkered scarf. This accessory is easy-to-wear and wrap throughout the seasons, with the perfect neutral tone for pairing with many looks. With classic appeal and versatility, this lightweight scarf is sure to become a fashion staple for your wardrobe!